Comments on this blog post are closed. No further comments will be published. Go to Dave Joy’s blog here for anything you want to say or find out about cowhouses. You know that house on the corner of your terraced street with the funny shaped, slightly larger yard than most of the others in the street? Well maybe it used to be a cowhouse, one of over 900 little, local dairies that used to supply Liverpool’s milk? Here are some. 1 Bryanston Road, St Michaels. Cowhouse. 48 Alwyn Street, St Michaels. Cowhouse. Looks like a new house built in the middle there since the cows left. And looking round the back? The yard at 48, 48a Alwyn Street. Could fit a fair few cows in there. 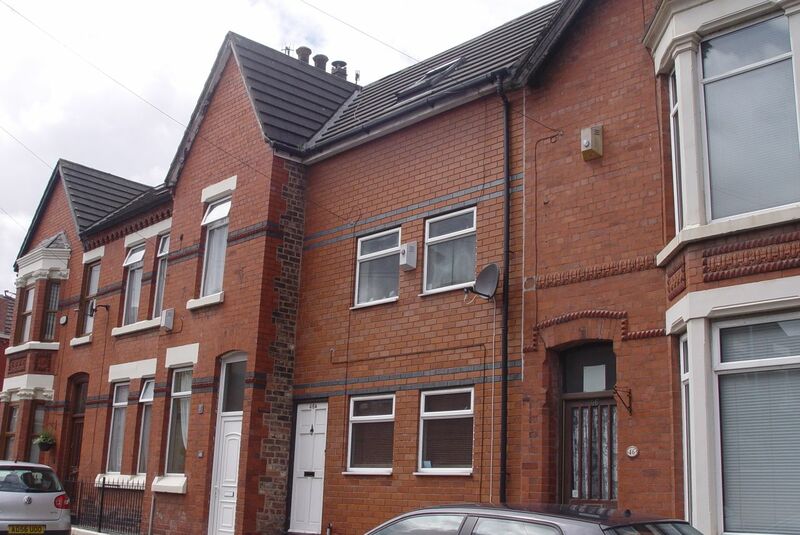 95 Gainsborough Road, Wavertree. Cowhouse. All around the city, if you know what you’re looking for, is evidence that the gap between town and countryside was once not so wide as it’s become. In Little Parkfield Road today, near Lark Lane. And a few doors away? From blog reader Ray Smyth ‘My father standing beside the lorry he drove for Greenbanks Dairy, Bedford Road, Bootle, approx 1936.’ Urban dairies all over the place then, as you’ll see from the comments below. 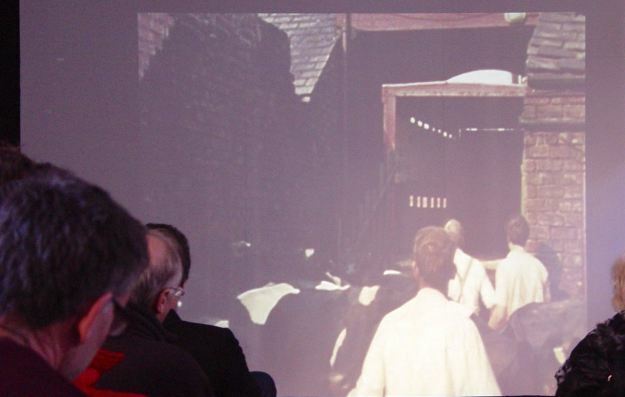 I first heard about Liverpool’s former cowhouses in January last year when I heard historian and social researcher Duncan Scott talking about them, at an event put on by ‘Mr Seel’s Garden’ – an academic project looking at the history of local food production in Liverpool. Hearing Duncan talk about them and how many there had been, really opened my eyes. And from then on all of my urban walks around Liverpool have included speculatively looking for potential cowhouses. Duncan Scott, Associate Research Fellow, University of Birmingham. A few weeks ago Duncan And I met at Onion on Aigburth Road, after which I knew even more about cowhouses. Cowhouses in Liverpool reached their greatest numbers round about the time of the Great War. Dairy farmers had begun moving to the city around the 1860s when rail links to their rural locations were opened. Coming to be closer to potential markets in Liverpool neighbourhoods, the cows would live in yards, be fed on fresh grass from local parks and even football grounds and many families would also run delivery rounds. 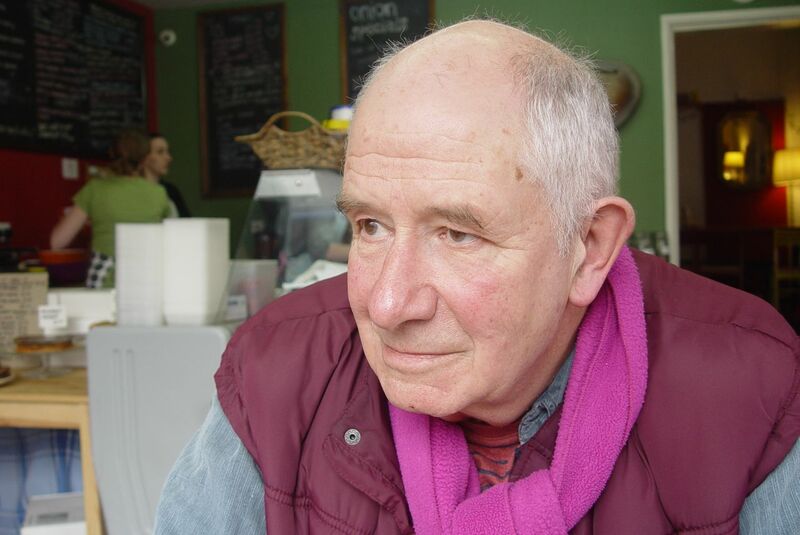 Duncan’s book focuses on particular immigrants to the city from around the Dent and Sedbergh area of North Yorkshire and Cumbria. Above is Joe Capstick on West Derby Road in Tuebrook. 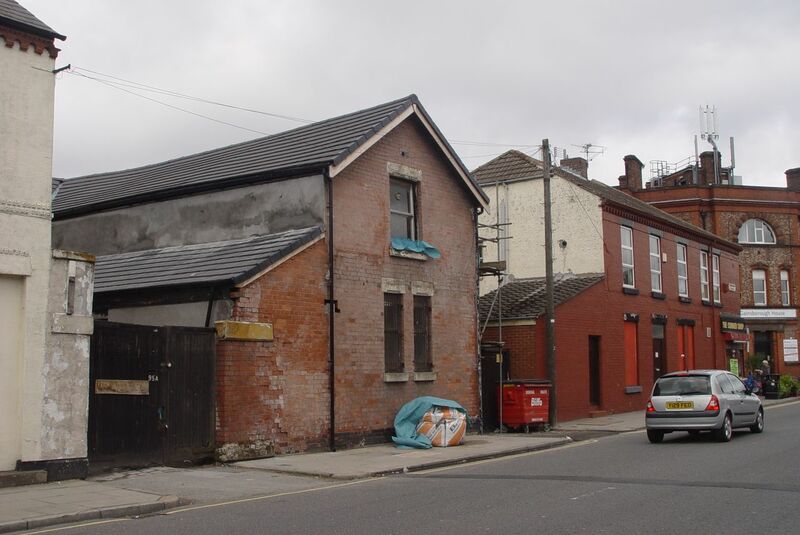 And here’s Joe’s cowhouse in Marlborough Road, Tuebrook. There would be cows living here until 1975. At the event where I first saw Duncan he showed some silent film of the last cows leaving, being transported back to family farms up north. The immigrants never having lost touch with their root farms and families. The last cows leaving Marlborough Road in 1975. So during my own life there was this last generation of urban cowkeepers. Living and working in the streets around us. And I never noticed. 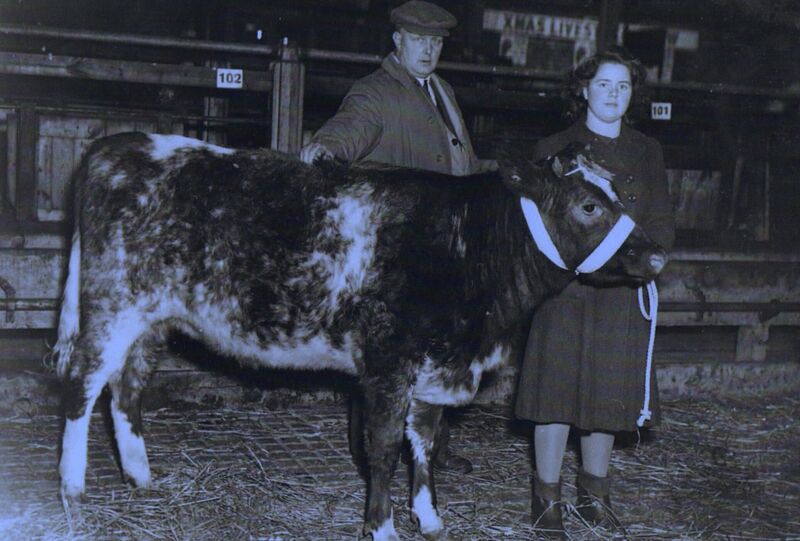 Joe Capstick and his daughter Margaret at a Livestock Show (ironically) in Stanley Abattoir, 1946. They were a close knit bunch, all sharing the unusual and hard lifestyle of getting up very early to get the cows milked, do the milk round, gather up the feedstuffs and milk the cows again later in the day, before beginning the round of bottling for the next day all over again. Social events, even weddings, would be fitted within this structure, many marrying other dairy types who understood the life. 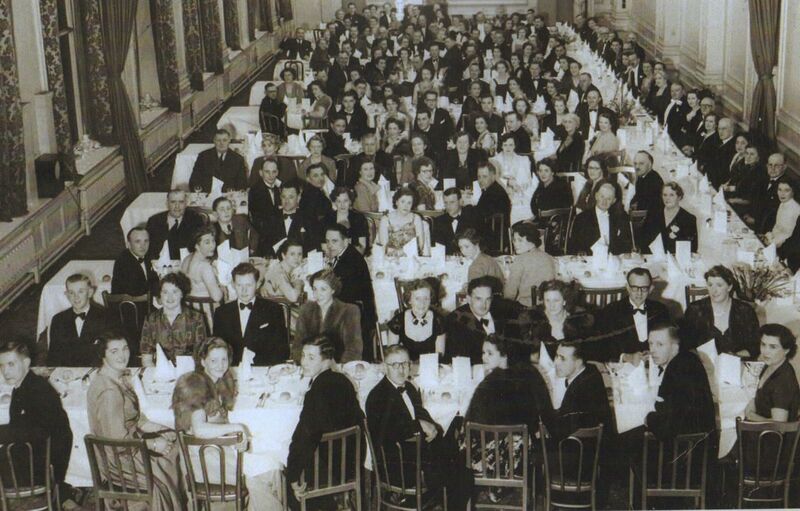 Liverpool Livestock Association Annual Dinner, 1952. Margaret Capstick second from left in the second row. Future husband on her left. 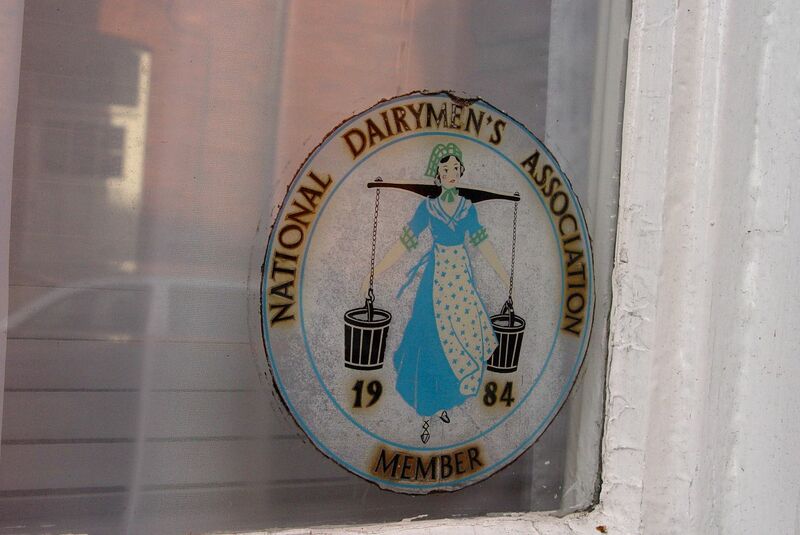 And though their national body was called the ‘National Dairymen’s Association’ – many of the ‘men’ in the industry were, as you can see, women. 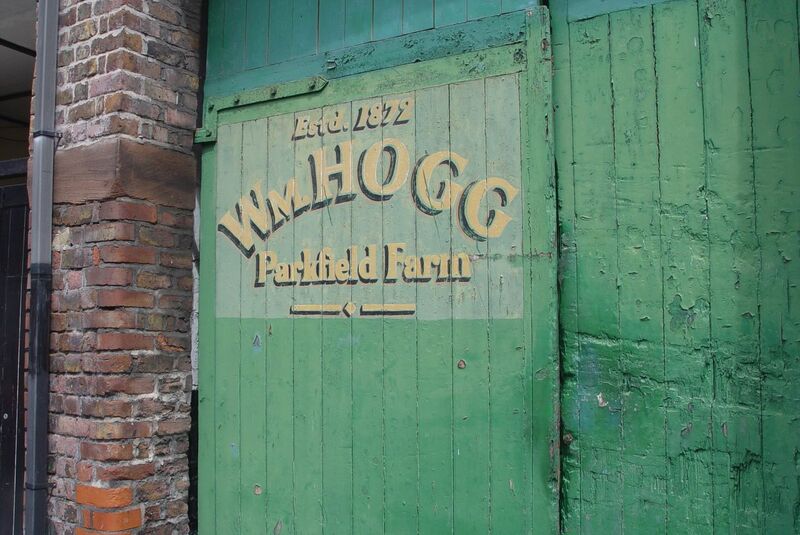 Which brings us to the best preserved cowhouse in Liverpool. Somewhere longtime readers of this blog might have seen before. Which still has this sticker in the window. Fronting on to Rose Lane. Not a cowhouse anymore. But it still looks like one. In his book, Duncan gets a look inside the house. Still looking like a dairy, and still lived in by the dairy family. Here it is on a 1908 map. On the edge of farm land. On the edge of the city. By 1954 Harper’s Dairy is surrounded by housing. 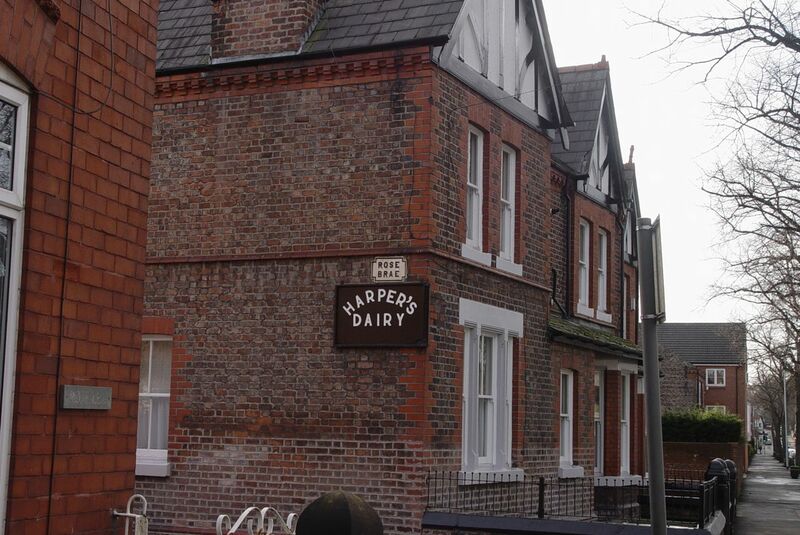 And Allerton Road Farm is now just a dairy too. Allerton Farm Dairy standing where Chandlers Hardware store is these days. The cows are long gone from Harper’s Dairy, but they were still supplying milk up to the year 2000, when a Tesco opening on that school site above finally saw their business off. Supermarkets, the growth of industrial scale milk production and us not buying our milk from them, saw off the cowhouses and even most of the milk rounds that used to be such a prominent part of the early morning soundtrack of our lives. Another bit of local lost to the corporate convenience world. But their places are still there if you look carefully on your next urban walk. The places where, at one time, 4,000 cows shared the city with us. In their cowhouses. Comments on this blog post are now closed. No further comments will be published. But as you state Ronnie they were all over the city and it doesn’t seem too long since the last of them went. Top quality memories Stan. It’s one thing to theoretically know a place was a shippon, a cattle shed, a cow house – but an entirely different thing to remember specifics like the cow’s nose, the smell of your mate and the VE day party. Thanks for these! There was a cow shed / dairy in Miller St Dingle. My grandparents lived in that house. Grandad used the cow shed to garage his coal vehicle. Excellent post, Ronnie. In the 1980s a friend of ours lived on Marmion Road in a house that backed on to Hogg’s Parkfield Farm. There were still cows there then (in fact until the last decade, I think) and we would hear (and smell) them – they would be milked in the early morning. Be interesting to know where the milk went. 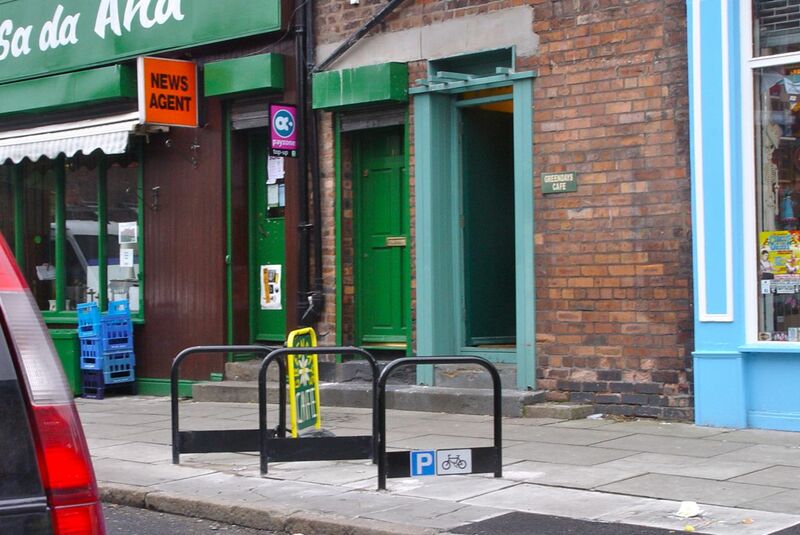 I remember the newsagent’s shop in my picture still being mysteriously called ‘Parkfield Dairy’ in recent years. So your memory suggests these were actually the last cows in Liverpool and not the ones in Tuebrook. I never knew about those! Amazing, thanks for the information! Yes, hearing about them changed my view of the streets I walk around every day. There’s a chapter about the area where the families came from in Duncan’s book. As you heard in the pub, they didn’t lose their connections with home. Some would spend their working lives in Liverpool and then be taken home for holidays and to be buried. And thanks for the Aigburth and Garston information. Will probably contact Duncan to get a copy of the book – thanks for the post. Lovely Post – a very high standard of local historical research and interpretation is evident here. 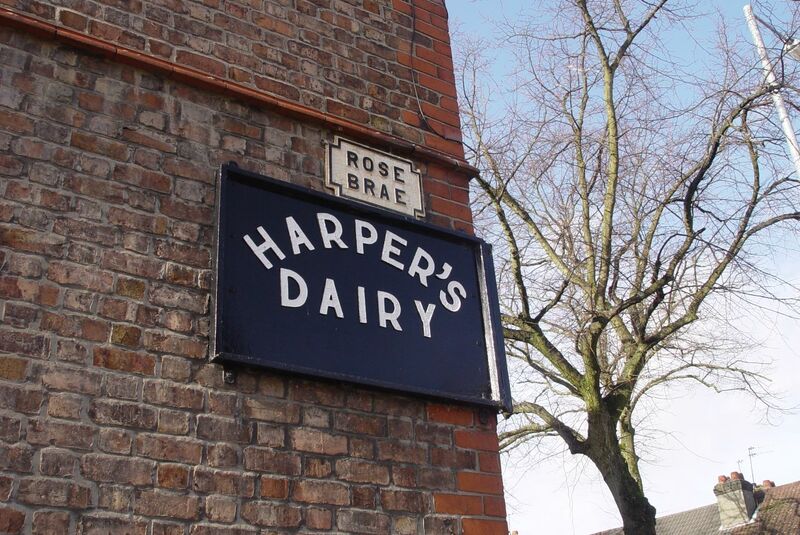 When I last strolled up Heathfield Rd.,in Wavertree, the dairy on the corner of Newcastle (?) Road and the adjacent cowshed were still there although apparently disused. The question mark is because I left the city in 1956.but still visit whenever I can. We used to buy our milk etc from a farm on the corner of Woolton and Heathfield Rd. Name escapes me for the moment..
I’ll go round and have a look for you. Only a few hundred yards from here. There’s more on Kelton and what it was here. Lovely to hear from you Catherine. And so glad to be part of writing about what you all did and how it still affects both of our places. When the cows came to town. ‘The same horse’ – priceless! Just reading this little bit of Liverpool history and remembering the cow houses in Aigburth and Lark Lane, I worked for Hoggs on Bryston Rd when I was younger delivering milk via the fleet of carts they had, we use to make a hell of a noise at 5:30am loading up the carts with creates of milk then push these overloaded carts around the local streets. It’s a lovely book. You’ll see photographs of your relations in there. have you got a tree on ancestry Beryl ? Hi Ronnie. How do I purchase the book? Hi Beryl is your Harper family tree on ancestry at all? Lovely to hear from you Elizabeth. Are you still in Liverpool now? Hi James, I’m looking at a Photograph of our Grt Grt Aunt, Elizabeth Wray ( Postmistress Aysgarth) standing in the Post Office doorway, circa 1880’s /90’s. John Wray’s Dairy was at 48 Great Crosshall St. Liverpool. The family house ( 7 Cockspur Street Everton) had a ground floor Dairy Shop run by my Grandmother, Margaret. Please get touch. My cousin Ray, has a 25 gallon stoneware milk container that says; “John Wray Dairies” …… Lovely to find you. ….. Peter and Allie Clarke. …. klarkieklarkie@yahoo.com ….. USA 408 373 9644 (West Coast)….. Fascinating to watch this bit of my website running itself! Lovely to hear from you Stephen and all your closely remembered details of living and working in your cowhouse in the Welsh Streets. There’s a photograph of your house on here towards the end of one of my other blog posts, about riding round Liverpool on the 27 bus. My mum has told me of the following story from the early 1940’s : Cows were kept just by Aigburth Peoples Hall and close to a small infant school. There was also a shop there that sold the milk both in cans and bottles. .. the cows where kept nearby in a big hut .. She can rebember playing in the loft above the cows ,, where the hay was kept. The cows were brought out first thing in the morning and they were led up into Irwell Lane, then left into Victoria Road and then into Briarwood Road, where at the top was a lane that led into some fields. The cows would graze there all day till about 5pm …. Carnatic House was there. I like Billy I worked for Hoggs in Bryanston pulling milk carts. I started at the age of 12 or 13 in the mid 1970s and my round was Chetwynd and Allington Streets. It was really hard work sometimes, pulling a heavy 2 wheeled carts with 6 to 8 crates of milk on in all weathers. One winter the snow was about a foot deep and I had customers come out and help me pull it. I know Hoggs used to walk his cows along Bryanston to feed on the shore, I’m sure I remember the sound of bells in the morning as they past our house. The pasture was on the other side of railway tracks I believe. The entrance to which is the small patch of wild land that is still there, next to St Charles School in Tramway Road. Thanks for all these memories Glen. This is building into a pretty strong piece of local history here. There’s also stuff about Micky on one of my walking posts. I’d love to see a photo of your painting – can you post one at all? I lived in Walton Village in the early ’70’s but don’t remember any reference to a diary there so it would be great to see where is was. Sorry this is a bit late,! Only just returned to this blog having been reminded of it. 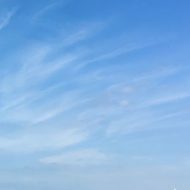 Could email you a copy of the picture if you wish ? Hello Faith, I have just found your Greenbanks Dairy info. My dad drove a lorry for Greenbanks in the 1930s,I have a photo of him standing beside it. Regards, Ray Smyth. Hello Ronnie. Absolutely love this article. The Joy family originated in Wharfedale (Hebden/Burnsall) and came to Liverpool in the mid-1800s – initially to Wavertree and then to Garston. 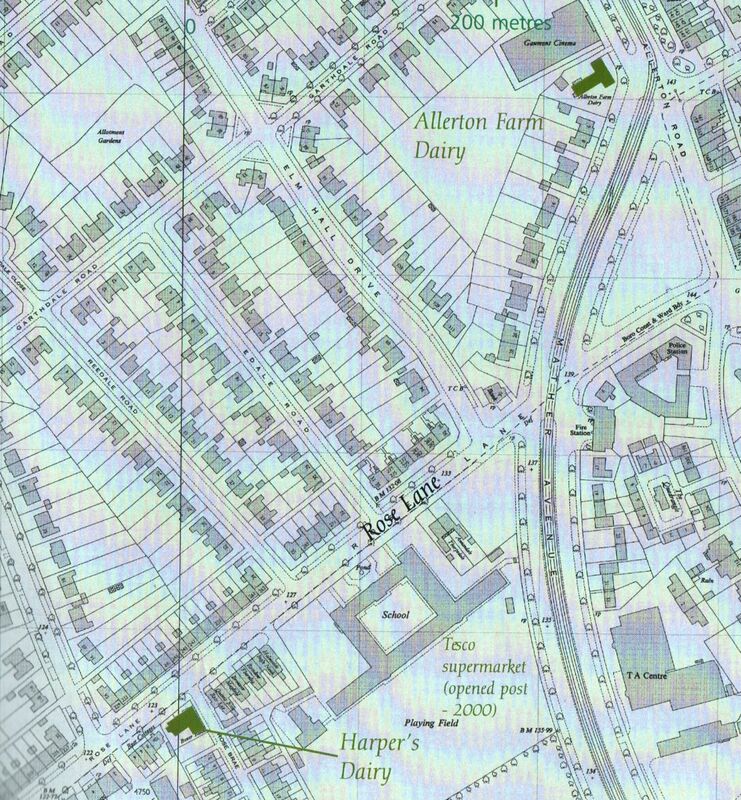 They had dairies (and cowhouses) in Railway Street (cows on what is now Stalbridge Dock), Island Road (cows on what is now Garston Park) and then at Wellington Dairy in Duke Street (cows on what used to be The Avenue). All delivery was done by horse and cart (milk float). The dairy herd went in the late 50s but the business (A. Joy & Sons) continued delivering milk in Garston until the late 60s. The yard, shippon and stables are still standing. I have recently had a book published describing my childhood at Wellington Dairy. Its called ‘My Family and Other Scousers’ and is available on-line at Amazon, History Press etc. Apologies for the plug but I do think your readers would enjoy it. Oh, it carries a foreword written by Rita Tushingham – another old Garstonian who was brought up in a family business. Cheers. Thank you Dave, for the information and for the link to your book. 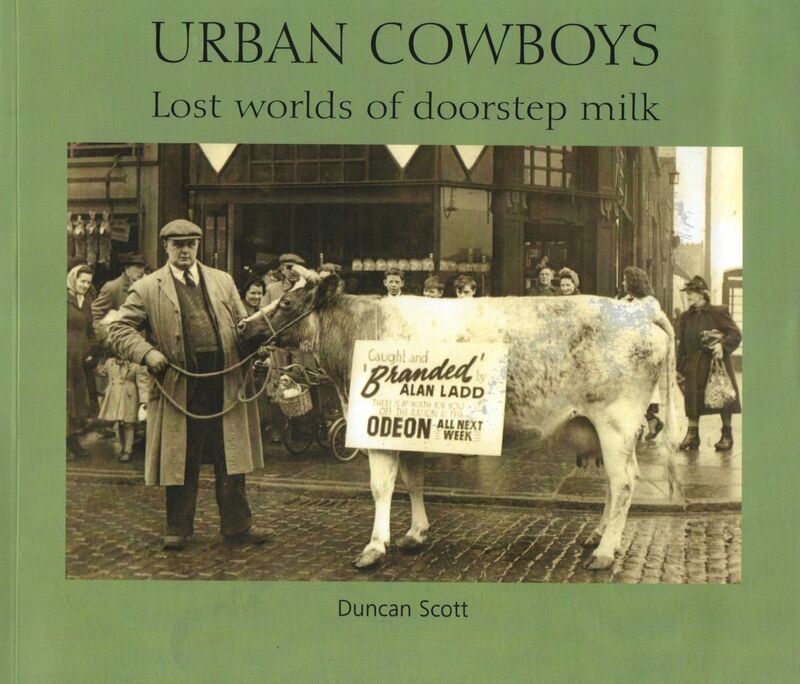 I know Duncan Scott is currently planning a second Cowhouses book, so who knows, we might well be approaching you either to quote from or to be in it! Glad to have helped James. Do you know where it was in Aigburth Vale? 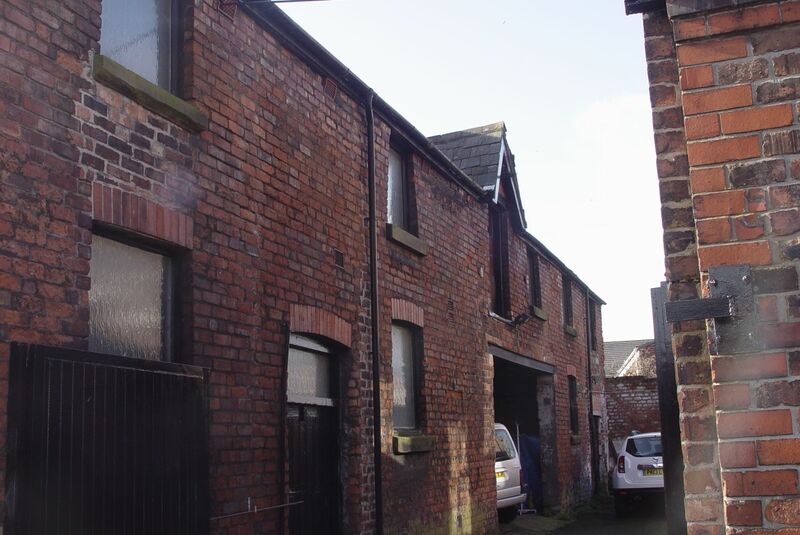 Just discovered this site.My father was a cousin to the Ranson cow keepers of Raffle Street off Great Georges Street.During the war years he delivered brewers grain to farms and cowkeepers in the Liverpoo land cheshire areas , from 1949 until 1951 I worked for the Ransons delivering milk by foot until 8am and then second boy to Thomas Ranson who drove the horse and float. Most of the dairies on your site I remember going to on my fathers wagon. One dairy in particular stands out in my mind unfortunately the name I can’t remember. It ran parallel to St Mary’s Road on the left hand side,heading towards Speke.My father had to back his wagon into the dairy yard to deliver the brewers grain as he got to the rear of the wagon it rolled back against the midden injuring him although not fatal.This would have been about 1946. Arthur – My family’s dairy business, ‘Wellington Dairy’, was located on the corner of Wellington Street and Duke Street in Garston. The entrance to the yard was in Duke Street, which runs parallel to St Mary’s Road as you describe. The family ran that dairy from 1901 until the late 1960s and kept cows there until about 1958 – but it was always a horse-drawn business. So, it sounds like you delivered to us! Where did the grain come from? Breweries in Liverpool? That is definitely the dairy that I had in mind, we got the grain mainly from Threfalls in Truman Street,occasionally from Bents. Ranson’s dairy, like your family’s, traded into the 60’s. They were established from about 1860 as milk providers and horse dealers. I left working for them in early 1953 to go away to sea, my father left them after his accident to work at Dunlop’s in Speke. As the grain came straight from the brewing of the beer,it was still hot and wet, it came down a shoot and directly into the sided wagon drainng off on the travels.It then had to be shoveled off by hand sold by the bushel to the dairymen.Each spadeful equaled a bushel.My father wore corded riding breeches,boots and knee high leather leggings. Priceless! Absolutely priceless! You really, really must write all this down. No, really. I mean it. I gave myself the same advice and my memoir of Wellington Dairy has recently been published. Even though its gloomy to think about it I told myself that if I don’t write it down now, then it’ll be gone forever when I go. Do it today! Thanks for the instant reply Dave it is all part of our social history that people nowadays know very little about. Hi Linda, I haven’t but I wouldn’t be at all surprised if one of more of the people reading and commenting have? My wife tells me that on the corner of Canterbury St and Window Lane (on the river side of Canterbury St) was a bomb site, the pile of bricks still there into the mid 50’s. My great grandfather William HOLME lived in Garsdale, Yorkshire before moving to Liverpool where he became a Cowkeeper. He worked alongside his in-laws Samuel and Ellen ALLEN who had premises in Everton and in Tuebrook (Russian Drive) before opening his own Cowkeeping business at Mill Lane, West Derby. The ALLEN family finished up living at 34 Freehold Street, West Derby. Does anyone know of these families. Auntie Dorothy had previously mentioned about a shop and the fact that the Polish family may have had to change their name to Redmond, due to local Anti-Sematic feeling in-between the Wars. She said that her Mothers (Agnes Redmond/Parukiewicz) Mother (my Great Grand Mother, on my Mums side!) ran a shop. I saw her in IoW yesterday, and she confirmed that her Grandmother ran an Ice Cream Parlour, which was either attached to, or adjacent a Dairy (Cowhouse) in Silvester Street. Good to hear from you John. Hope one or more of the regular readers of this monster comments selection are able to help you! I lived in Hill St Liverpool 8. Born 1952. As a child I remember the Dairy in Head St but the milk floats where in Back Cotter St. I think the dairy belonged to people called Hansons. The actual house they lived in was so quaint and I vaugly remember a wall of yorkstone and going up a couple of steps to the door. I think possible to pay for the milk. I remember an elderly woman who was the mother. Moffat the plate shop on Mill St a garage and a cobblers on the opposite corners of Cotter St.
My father was the licensee of the Woods House corner of Hill Street and Mill St. Thanks Liz and everyone else for this continuing and collective story telling. It’s clear we have a vast memory here in Liverpool of a less corporate time when ‘Tesco’ wasn’t the answer to how we fed and supported ourselves. OK – I’ve been doing a bit more (actually a lot more!) Ancestry digging and with the help of my 84 year old Auntie (85 on 5th Nov! ), I have tracked down the Redmond’s (formally Parukiewicz) (two adults, 5 Children), at 26 Latimer Street, on the 1911 Census Summary – can’t locate the census (Form A) but will contact National Archives (may have been destroyed in The Blitz?) to locate ascertain its fate. 26 Latimer street crosschecked, with the Marriage Certificate of Agnes (Grand Mother) and Albert E Smith in 1929, that I ordered two or three years ago. As part of my work to promote my book (‘My Family and Other Scousers’) I am doing a series of illustrated talks entitled ‘Liverpool Cowkeepers – A Family History’. If you are interested, most of the groups I am talking to welcome non-members (usually, for a small entrance fee!). Below is my 2016 programme to date. Thanks to Ronnie for permission to post this. i heard your talk and bought your book at the Pendle forrest history society talk at Barley village hall and really enjoyed both. My daughter has just moved into student accomodation across the road from The Brookhouse on Smithdown Road and I suspect it was a old cow shed/ dairy. The address is Gorsebank rd, would you know if I am correct? Thursday 14th April 2016. 14.00. West Derby Women’s Group, Lowlands, 13 Haymans Green, West Derby, Liverpool L12 7JG. Wednesday 1st June 2016. 19.30. Runcorn Family History Group. Churchill Hall, Cooper Street, Runcorn WA7 1DH. Thurs. 10th November 2016. 14.00. Dingle Vale Lunch Club, Dingle Vale Church, Liverpool L8 9SN. My grandfather was Alf Fawcett who kept cows I Breeze Hill in Walton.I wonder if anyone remembers it?? Bootle. Kind Regards, Ray Smyth. Doreen,my auntie ,son was Derek.My mother Clarice was Doreens sister.l helped my grandad on his rounds and the dog was mine named Whiskey. Where can I obtain a copy please? I am related to the ALLEN family from Hawes, Wensleydale and the HOLME family from Garsdale and Grisedale in Yorkshire. 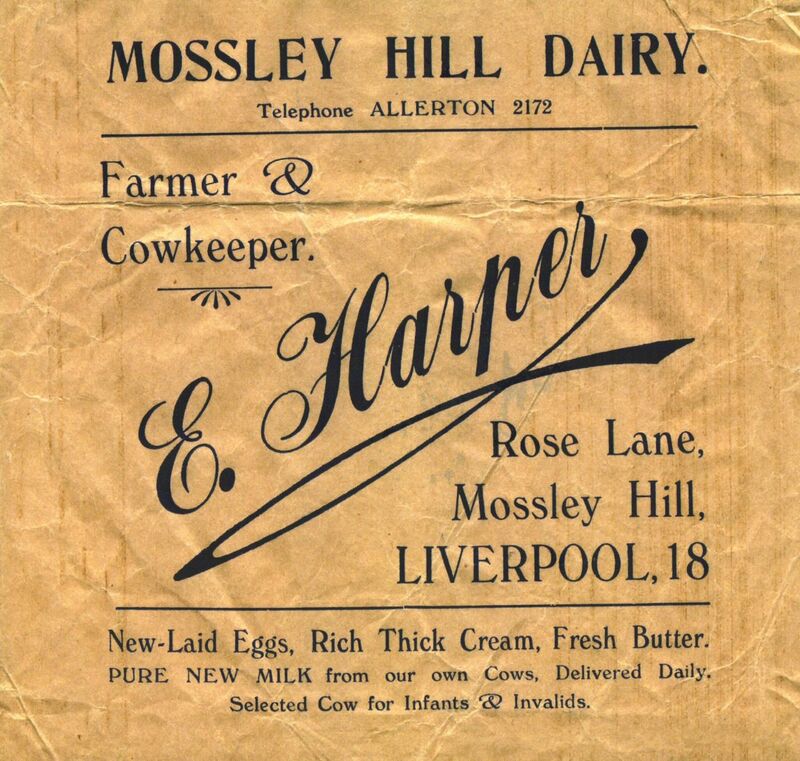 Both families moved to Liverpool in the 1890’s to be Cowkeepers. Hi John, the author’s email address is at the end of the blog post. As far as I’m aware that’s the only way to get hold of the book. 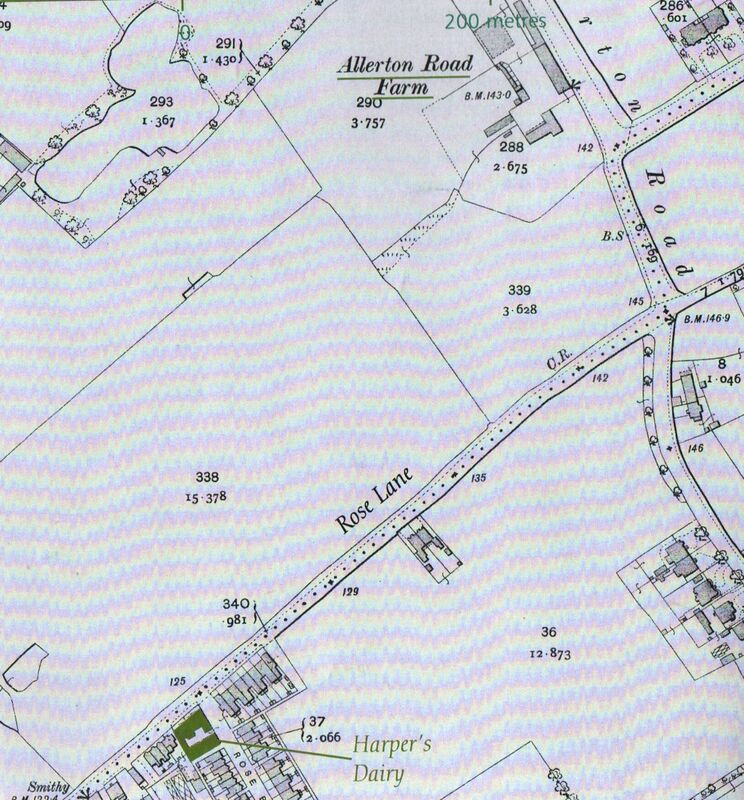 What an interesting site ….. related to the cowkeepers I am related to the Allen family, the dairy at 189 Park Road, opposite Wellington Road at the top of the hill, between what was the pub (now Cravens) and Woolworths. 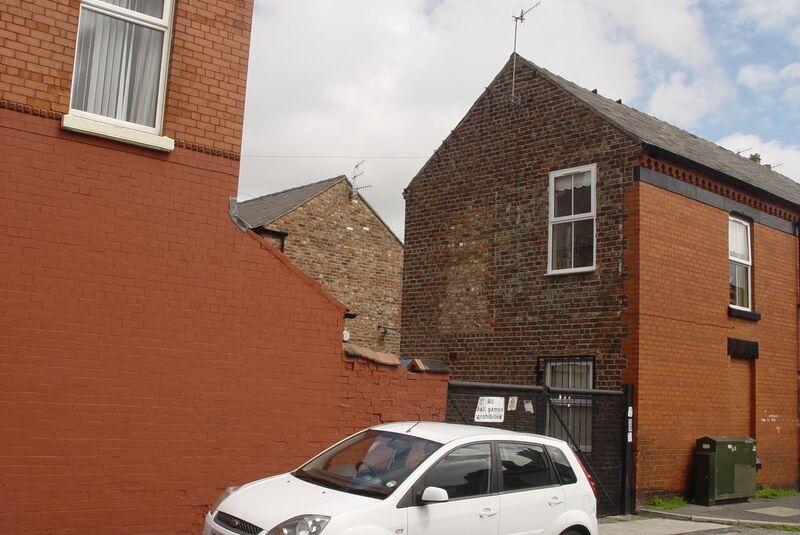 One of many, also at 95 Gainsborough Road, 466 Prescot Road, 2 Laburnam Road and the family were also linked by marriage to the Batty family, with dairies on Aigburth Road, Arundel Avenue and Prince Alfred Road. I’ve just read your post on Ronnies excellent site. My branch of the Battys lived in various Yorkshire and Westmorland locations ; Garesdale,Ravenstonedale,Aysgarth etc, but all roads seem to lead to Dent eventually! George married Jane Allen (daughter of William Allen and Mary Pratt) at Fairfield Methodist Church Liverpool in 1902, and, as you probably know, William married Jane Allen (daughter of Samuel Allen and Ellen Sayer at West Derby Record Office in 1898. George and Jane had a son Norman in 1903 which maybe who you were thinking of. We are descended from Samuel and Ellen’s line; proving it’s a small world! I think that the real ‘mover and shaker’ behind the Batty dairies in Liverpool was my G.G.Grandad Richard Batty. A few years ago I managed to visit Adamthwaite farm, just outside Ravenstonedale, where Richard farmed in the 1880’s and where William and George lived as boys.I was invited inside by the farmer who wanted to show me a carved inscription on the shippon door that read; ‘W BATTY 1867’ .I got the impression at the time that the farmer didn’t invite just anybody in to nose around inside his shippon. It’s things like this that make rooting around in the past worth while for me. Hi Brian. This is interesting reading the website and your posts to Paul. I’m related to the Battys in Liverpool. He was getting letters as it was in the 60s from auntie Peg [Margret] to move to NZ as she had in the early 60s with husband Fred. Hi everyone. Thanks for all the interest and support with regard to my talk. I’ve had plenty more bookings, so here’s an updated programme. Thanks again to Ronnie. Wow! What a fantastic evening at Burton & Neston History Society, last night. A lovely warm reception and a packed hall with many cowkeeping families represented – some of whom remembered meeting and working with my dad! I was delighted to meet cowkeeping historian extraordinaire, Alan Passmore, who handed me his own potted history of the Joy family’s various dairies in Wavertree/Garston – thank you Alan! The Q&A session afterwards lasted almost as long as my talk, with many members of the audience sharing their own cowkeeping memories and experiences. A big ‘Thank You’ to my hosts and to a most appreciative audience – especially to those who stayed behind for a chat. A thoroughly enjoyable evening and a truly memorable experience. Can’t wait for the next one! 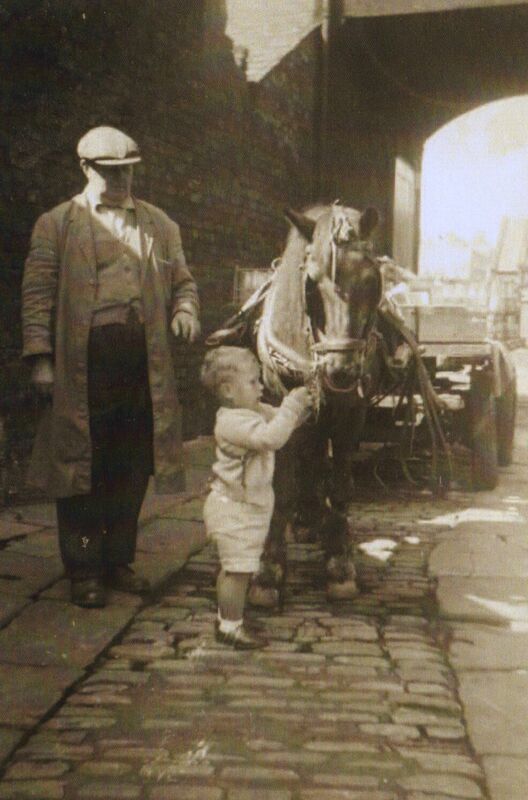 I lived in Russell Rd just off Penny Lane, our milkman, Mr Martin, delivered using a hand cart in all weathers!! He lived in Russell Rd so perhaps collected his milk from Briardale?? If you looked over the wall on the Penny Lane bridge, you could occasionally see the cows outside. We rarely went trainspotting close to the building because of the pong!! I would like to come to your talk on the 3 June – Liverpool University Pensioners Association – would it be possible? I saw the BBC clip today about the last cow house in Liverpool. It sparked an interest to see if there was anything out there about the Hoggs dairy and found this site. I think I can add to the memories. I lived in Errol St. Tom and Margaret Hogg were very good to me. At lunch time when I was in primary school at St Michaels I would call at the dairy on Alwyn Street and Mr Hogg would give me a shopping list. It usually consisted of some sausages from Glendennings. Choc ices for him and 20 Benson and Hedges for Mrs Hogg. At the end of the week on a Saturday morning I would call to see them and they would give me some pocket money. I was allowed to go into the yard to see the cows being milked and help sometimes. I would then fill bottles with cream and put the metal tops on by placing a metal cone over the lid and hitting it. When the calves where being moved by truck up to Jericho lane farm I was allowed to ‘play’ with them in the yard. I enjoyed every moment. They gave me gifts from far away places such as a large piece of coral. They were very kind. I remember a large range in the kitchen with dinner cooking for the evening meal. I remember the cow which escaped and ran down Bryanston Rd. John, the dairyman who let me ride on his cart when he was delivering the milk. This was all between the late 60’s to early 70’s. Very fond memories. Jones’ dairy Errol St, as in a previous post sold the most amazing Cheshire cheese and general store. At that time I don’t believe they had livestock but may have had hens. Val the wife of the owner had an enormous blonde beehive hair do. I think it was her mother who when asked for some cheese would take the big glass dome off, cut the cheese, place wrap it in grease proof paper. When unwrapped there was always a black finger and thumb print on either side of the piece of cheese. Hygiene not being what it is today! Change of venue for tomorrow’s illustrated talk for Liverpool University Pensioners. Now being held in the Ashton Lecture Theatre (in the Ashton Building), commencing 13.45. Thanks to Ronnie and everyone else for all your support and interest. Good news Dave and lovely to see the way this blog post of mine has developed a whole life of its own. Fantastic to find this site. My Maternal family, the Winns, had Willowbank Dairy on Smithdown Road, Although it was finished and sold by around 72/73 I have such clear, vivid memories of it. Playing in the warm Brewers grains brought by Wilsons, Going out on the horse drawn dray doing deliveries, my Uncle Henry taking the horse off to the local schools to mow the grass with a gang mower and bring it back for the cows …. Such a unique part of Liverpool history . Counting down the days to the publication of my book – ‘Liverpool Cowkeepers’ – out on 15th September. So excited! Thanks to all who have contributed (again, too many to mention here – even Ronnie gets a mention in dispatches!). Very kind of you Dave. All I do these days is approve all these comments. It’s like you’re all running your own separate cowhouses blog inside my web site. Very welcome you are too! This is fascinating. I would love to read your books, how can I get hold of them. I believe by grans family (Wilson’s) were dairy farmers in Sedbergh who moved to Liverpool (Wavertree) and continued dairy farming there. My mum Mary (nee Foster) Wilcock was born in Melbourne during that trip. – although that’s another story. Apologies in the delay in replying – been a bit busy just recently with my book coming out tomorrow! Your family seem to have their roots deep in the cowkeeping way of life – the Australia connection is also interesting. 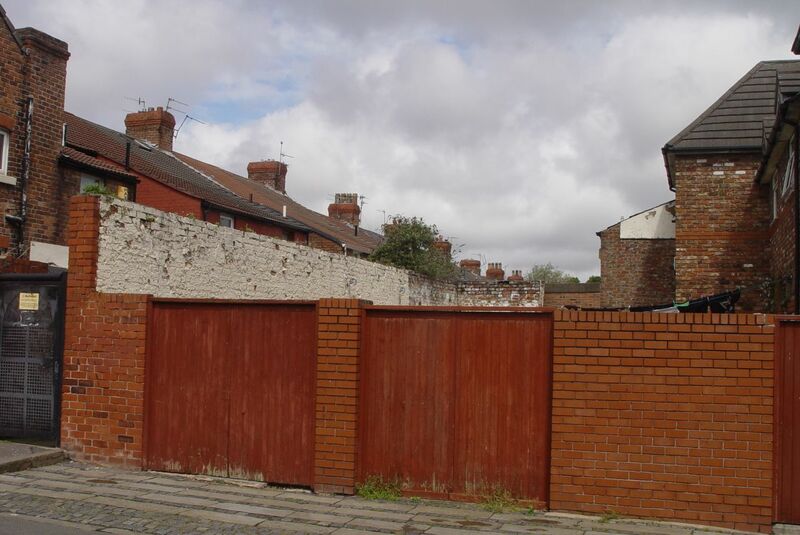 My 2nd great grand uncle, George Joy, had a succession of cowhouses in Wavertree, including 88 Ash Grove and 21 Calton Avenue/362 Smithdown Road. It’s a fascinating aspect of local history. My books are available on-line from the publishers or from Amazon – full details are on my website. Or, if you want a signed copy, my contact details are also on my website. Comments on this blog post are now closed. See Dave Joy’s blog here for more cowhouses talk. Comments on this blog post are now closed and no comments received from now on will be published. So please do not waste your time. Comments are still coming in but none of them will be published.